Rarely available is this impeccable four bedroom detached executive family home located in Middleleaze. The accommodation comprises three reception rooms, cloakroom, refitted kitchen/breakfast room and utility. 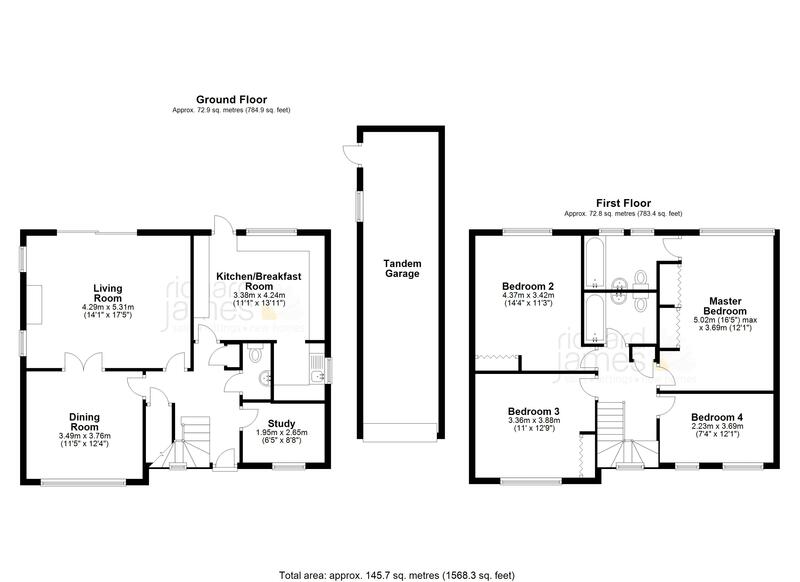 The first floor offers four double bedrooms and two bathrooms(one ensuite). This special property offers landscaped and well stocked gardens, tandem garage with driveway parking to the front. Middleleaze offers local pub and primary school, as well as being well connected to the local bus route. Middleleaze park offers a great stroll for a dog walk or run.